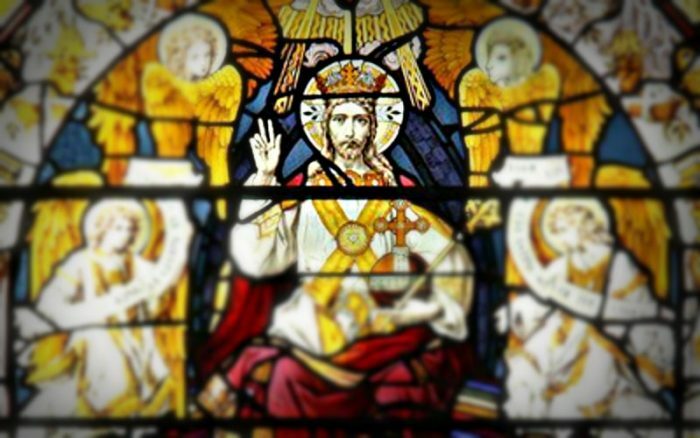 The full name for the Feast of Christ the King is “Solemnity of Our Lord Jesus Christ, King of the Universe.” What a name! One thing that is striking about it is how strange it sounds to modern ears. He’s the “King”? And “of the Universe”? Notice that Jesus is King of the universe, not simply the Church or all Christians. Whether a person worships Jesus or not, or even believes he exists, he is their King. Other religions or worldviews that deny this are not simply different but are wrong. As the King of the Universe, Jesus is higher than all earthly powers. That includes the most powerful and highest temporal rulers of our lands. Christians are called to humbly honor and obey their rulers – unless they contradict the laws of Christ. That’s why the Church is often one of martyrs. If Jesus is the King of the Universe, above all other powers, then this is one of the most important facts about the world. Any worldview, secular or religious, that denies it will be wrong at its foundation and will inevitably lead to all sorts of further errors. If Jesus is King of the Universe, then not only are temporal rulers subject to him, but so are our individual wills. We do not own ourselves. We cannot just “do what we want.” Instead, we must submit our whole lives to his service and glory. 6) The fact that Jesus is King is good news! This might be the hardest thing of all for the world understand. The fact that Jesus is the King, that temporal powers are subject to him, and that we are all called to submit our hearts and wills to him – all of this is extremely good news! This is because Jesus is love itself. He is the good. By submitting ourselves to him, we are pursuing the highest good we possibly can. Would you add anything to this list? Let us know in the comments!